Billy was born on 30 June 1886. It was just over a year since his parents were married, so there had been no hanging around! His parents were in many ways from quite different, though both extremely privileged, backgrounds. 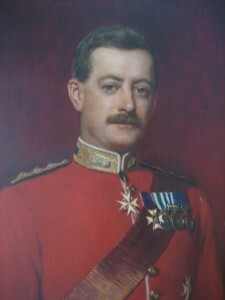 Billy’s father was Lord William Cecil, the third son of the third Marquess of Exeter. The Cecils were about as blue-blooded an aristocratic family as it was possible to find. Their credentials had been established in the 16th century when William Cecil was the first Cecil to make a name for himself by becoming a chief adviser to Edward IV, then to Mary Tudor and finally to Elizabeth I. He was remarkable for many things, but perhaps mostly for keeping his head at a time when many were losing theirs. He must have been the ultimate diplomat to serve both Catholic and Protestant monarchs and was rewarded accordingly. One of several magnificent houses he built was Burghley House near Stamford in Lincolnshire. Some of his descendants however had a most enjoyable time trying to disperse the family fortune by living the high life. The third Marquess certainly seemed to relish spending his fortune on yachts, entertaining on a grand scale, travel and gambling. He must have been delighted, or at least relieved, when his third son landed an heiress. 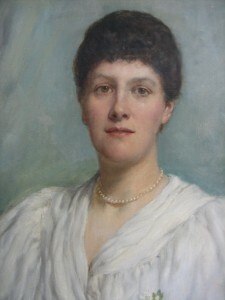 Mary Rothes Tyssen Amherst was the eldest daughter of William Amhurst Tyssen-Amherst of Didlington Hall. His fortune was indeed significant, originating in trade and the successful business dealings of Nicholas Tyssen, a naturalised Flemish merchant in the 17th century. That William was not entirely happy about the ‘Englishness and respectability’ of his name and ancestors, is evidenced in the fact he applied to change his name twice by Special License, and the Tyssen was dropped completely when he became the first Lord Amherst of Hackney in 1892. (He owned much of Hackney at the time.) As William was then the extremely proud father of seven daughters, and unlikely at his age to father a son, he was granted the title with special remainder so that it could pass down through his eldest daughter to her eldest son. May was the eldest daughter, and consequently heir to the title along with the greater part of her father’s fortune. In due course Billy, as her eldest son, should have inherited both. These expectations, viewed as certainties, would have formed the backcloth to his young life. However of course nothing in the future is truly certain, and Billy had some painful lessons ahead. All began well enough. 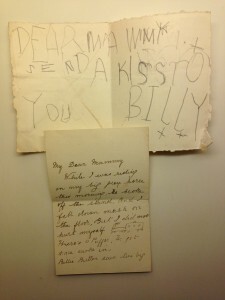 When Billy went to stay with his paternal grandfather, William Alleyne Cecil, Third Marquess of Exeter, in February 1891, he was just five years old. While not appearing as large as Blenheim or Chatsworth, Burghley is imposing enough. 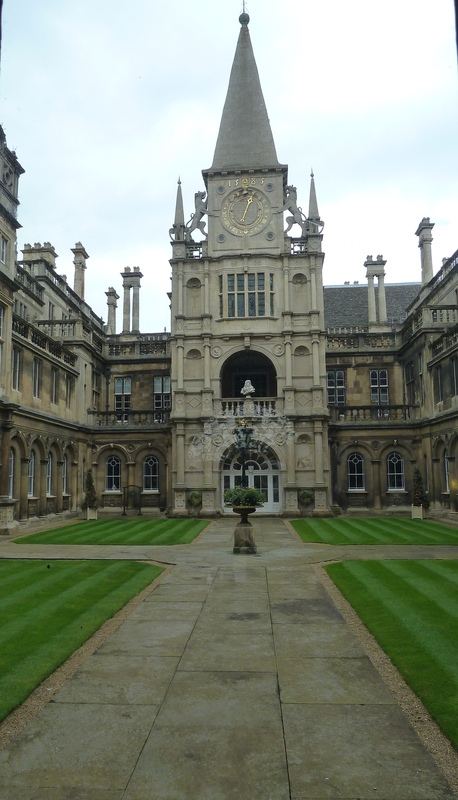 Even to a young child used to large houses, Burghley must have seemed a vast and daunting place. Unlike Didlington where electricity had been installed at the earliest opportunity in the 1850s, Burghley was lit by gas. The gas was manufactured by the Estate Gasworks and was not always of the purest burning quality. Periodically unburned pockets of gas gathered above the lamps, exploding disconcertingly with a loud pop at unpredictable intervals. It is likely that Billy at the age of 5 would have slept and spent much of his time in the suite of rooms now referred to as the Dark Nurseries. These rooms live up to their name and they are now only used as a general storage area. The windows look out over the inner courtyard, which is in shadow much of the day. 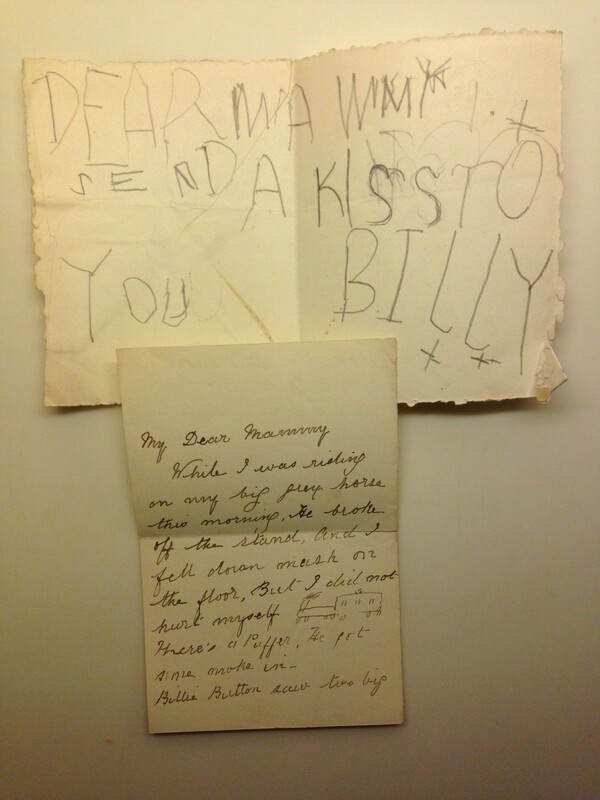 Billy would have been taken outside for his daily exercise, otherwise he amused himself on nursery toys, not always safely as the note accompanying his letter explains.